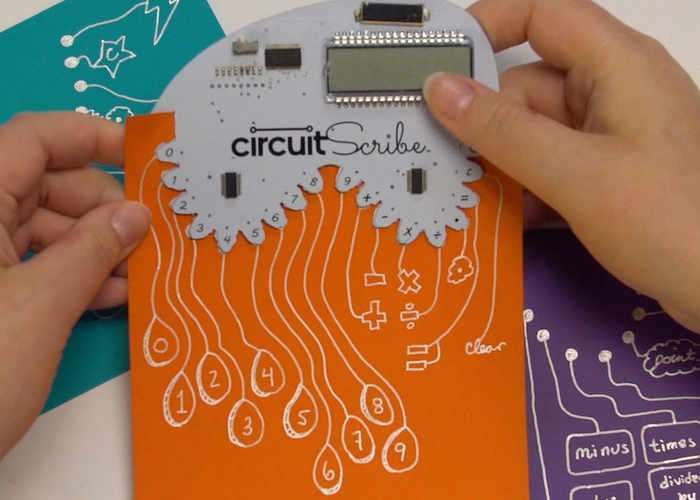 Electroninks has this month returned to Kickstarter to launch their second-generation range of DIY electronic kits which combine electronics and paper thanks to the Circuit Scribe conductive ink pen. To learn more about the latest DIY electronic kit range created for the unique conductive ink. Checkout the promotional video below for more information on DIY paper electronics and what can be built using conductive ink. We love paper-based electronics & created DIY project kits using the Circuit Scribe conductive ink pen to help creativity take flight! Circuit Scribe is the original conductive ink rollerball pen. With a non-toxic, highly conductive, silver and water based ink, you can draw your own circuits by hand. Our customers have used the pen for education, prototyping, and electronic art. The educational kits come with magnetic component modules that snap onto the circuit, allowing you to create fun electronic paper crafts using a range of basic to advanced circuit concepts. The new DIY kits are a continuation of our mission to make learning about electricity fun and engaging, but you don’t need the educational kits to create with the DIY kits! Our original kits emphasized education by teaching basic circuitry principles, while our new kits emphasize application by allowing you to apply those concepts to DIY projects, using the classic Circuit Scribe pen to draw the connections. The chart below shows how these fundamental concepts are applied to tangible projects that are useful (or just fun!) in your daily life. Jump over to Kickstarter via the link belowFor more details and pledges starting from just $8.